Kids, 1st-6th grade, have their own service during both the 8:45 AM & 10:30 AM services. 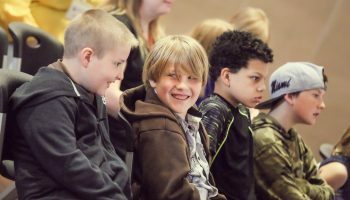 kidlife is a place where we lead kids to experience a lifelong relationship in Christ with the help of well-equipped and discipled leaders. It is essential that they know, love and serve God and others in everyday life by showing them who God is through interactive experiences, engaging worship, relevant messages, prayer and family inclusive challenges. Parents are always welcome to join us. Please join us Wednesday nights from 6:30-8:00 PM for kids ages 1st-6th grade. 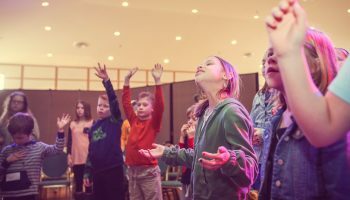 Our Wednesday night kidlife program is a high energy and fun environment that gives kids the opportunity to grow deeper in their relationship with God. Our night starts with all the kids worshiping and learning together through engaging music, fun games and creative Bible lessons. Afterwards students will break into age specific small groups to continue the fun. 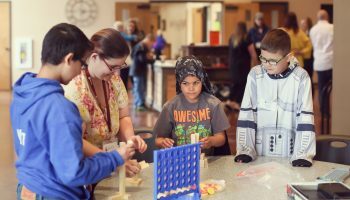 This time the learning and connections will happen through hands on small group activities like rocket making, cooking, art projects and survival skills, to name a few. We want students to leave each week with a better understanding of God's love for them and a deeper connection with other kids at New Life.